The game has a coffee connection, via a cheat's name. Do you know it? 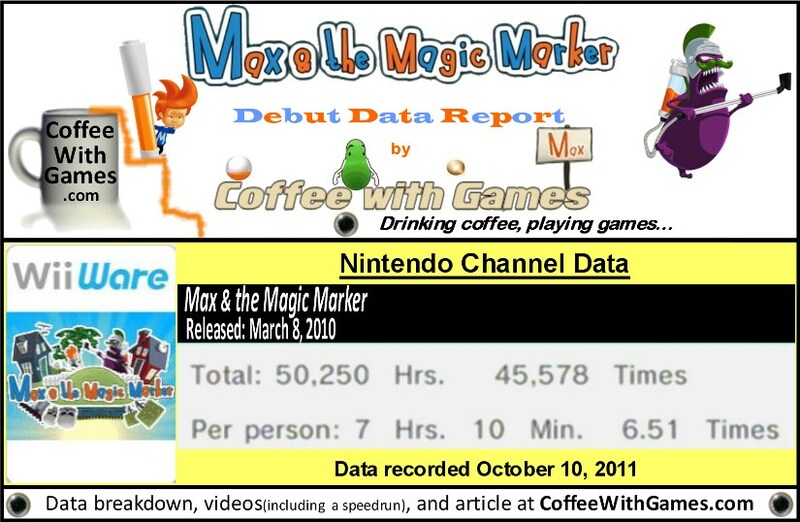 Max & the Magic Marker has about 7,001 Wii owners that have reported game-play data through the Wii's Nintendo Channel. The game's average play-time per day/session reported is 1 Hour 6 Minutes. Max & the Magic Marker's United States WiiWare release has made Press Play about $70,010 over the last year and a half, before taxes and profit sharing with Nintendo, based on the number of players reporting data and the game's $10 price point. I own Max & the Magic Marker on the Wii, and I really enjoyed my time with the game. If you missed my Max & the Magic Marker review, you can read it HERE. Seeing Max & the Magic Marker debut on the Nintendo Channel is encouraging I think, especially considering many WiiWare games released before Max & the Magic Marker have not even debuted. While I enjoyed Max & the Magic Marker on the Wii and recommend it to others, the game is available on a number of consoles/platforms. You can currently purchase it for the PC, iPod/iPhone, and this Tuesday, October 18, the game will be releasing on the PlayStation 3 with Sony PlayStation Move support. 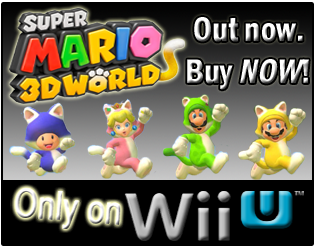 The game will also be releasing on the Nintendo DS this holiday season, on November 8. The Nintendo DS version will have a MSRP of $29.99, which I find odd compared to the other versions already available, but maybe the Nintendo DS market has a different target audience all-together? 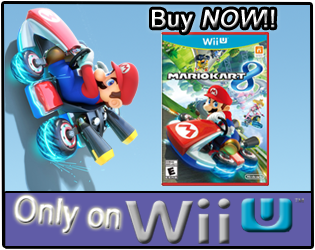 As for purchasing it, the PC version may be the route to go if you're in the United States, because the PC version is cheaper than the WiiWare version now, and it also has a code for the game's soundtrack that you can unlock by completing the game 100%; which unfortunately, the United States' WiiWare version does not have. The PC version of Max and the Magic Marker can be purchased HERE, for only $6.99. Have any of you played any version of Max & the Magic Marker, and if so, what did you think about the game? Also, which version did you play? If you have played multiple versions of the game, is there one version you would recommend above the other versions? I've only played the iOS version of the game, and I'm a big fan of it. It's a very natural process to draw directly to the iPad screen, and because this is one of those games that isn't heavy on the button inputs, it's a platformer that works well on the iPad. That said, I'm not such a big fan of the game that I feel the need to try another version of it. Yea, I think owning it on a portable device may be nice, and it would also allow me to try and unlock everything in the game for access to the soundtrack; but I still have my "resolution" and backlog to finish!